Twenty-eight early-career professionals from youth serving organizations from across Indiana have been selected for the 2018 Journey Fellowship for New Professionals. In response to a growing need to grow the pool of talented new professionals in the field of youth work, this Journey Fellowship was created in 2010 and funded by the Lilly Endowment Inc. The selected Journey Fellows for New Professionals will embark on an expedition to develop themselves and their careers in youth development. This unique opportunity is meant to support emerging leaders in their quest to get grounded, get connected and get going; making their mark in the field of youth development and making a difference in young people’s lives throughout Indiana. “This Fellowship is about keeping these young youth workers in the field of youth development and helping them become the newest and best leaders in the field to improve services and programs for young people.” said Tom Plake, Journey Leader. 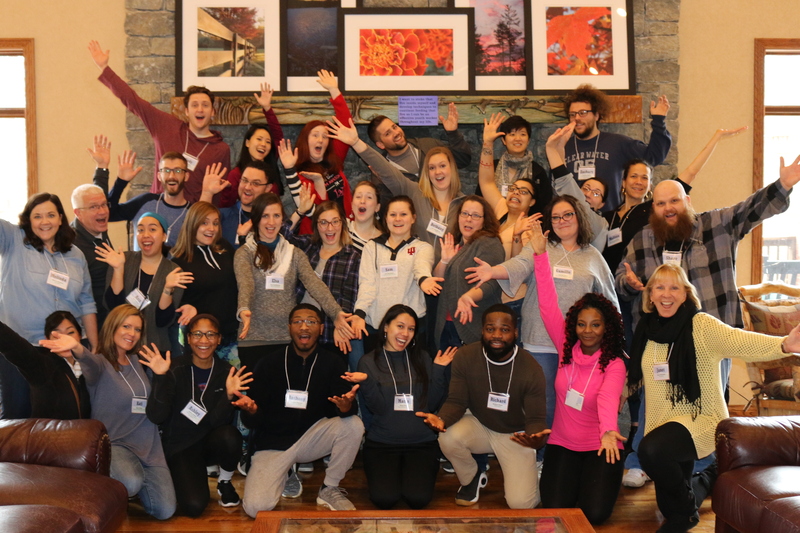 Each of the twenty-eight participants in the Journey Fellowship for New Professionals will attend a series of residential retreats designed to create new ways of thinking about and practicing youth work within existing systems and youth programs. Fellows are awarded career advancement scholarships, and will be supported to make a difference within their local organizations or communities. The Journey Fellowship for New Professionals. Street Outreach Worker, Outreach, Inc. Co-Founder and Creative Director, InterAction Initiative Inc.